Well, that was some mugged up definition, no? Let us understand it in a better way with an example, shall we? There is a salesperson named Lex. Lex creates a sales content that he sends to ten people. Hey there, we sell various engineering products and services like web designing, machine design hydraulic parts and a lot more. Our products are good and reliable, and we are dedicated to our strong customers. We recognise the importance of customer care and we are here to help you implement your organisational needs. Of the ten recipients, only one replies, while remaining nine ignore it. Why? Because this email is boring and is a waste of the recipient’s time. 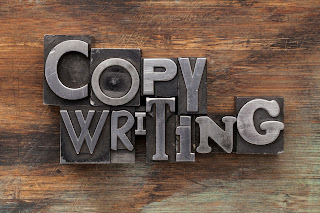 Later Lex discovers the art of ‘copywriting’ while going through the book ‘how to write a better content.’ He studies ‘copywriting’ thoroughly and furiously and now, he decides to rewrite the sales content that he created earlier. Dealing with engineering problems? Come to us, we have the solution to every engineering problem. You want the best and we give the best! Lex now sends this to ten people and this time he receives six replies. Thus, copywriting increased his marketing productivity. I assume now you understand the meaning of copywriting and its purpose. However, as an engineer, I would like to take “factor of safety” into consideration and would brief ‘copywriting’ and its purpose. Copywriting is a one or two line content that has the same meaning as that a lengthy content has. The only difference is that it is more effective than lengthy content and boosts marketing productivity. Well, did you notice what I did with the title of the article? That is also copywriting.